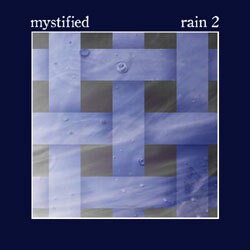 Mystified’s Rain 2 is a shimmering hailstorm of mysterious percussive sounds resonating across a wide space. This is foremost an album of auditory texture which seeks to induce in the listener a reverie of vague mental associations and feelings. Recorded and produced by Thomas Park, Summer 2007. Cover art by C.P. McDill. This entry was posted in Catalog, Rain and tagged ambient, Catalog, Meditation, Mystified, Rain, Releases by C.P. McDill. Bookmark the permalink.